I’m learning a lot through this experience and it’s prompting a lot of questions. I need to know more. I also value the cross-country conversations this has sparked via Twitter and the Week In Their Kitchen blog. I want to know more. What does a hamper look like in Ottawa (ashamed I don’t know this). Where does someone in my hometown go for food and what’s available? (Really ashamed I don’t know this). How has the closure of the Hershey’s Factory and the Rideau Regional Centre impacted the food security of Smiths Falls folks? How often can someone access a hamper from The Stop in Toronto in comparison to the CIFB here in Calgary? Through Twitter (previously a Twitter Quitter – but now seeing the value in a campaign such as this one), I learned of a new report through the Daily Bread Food Bank that provides a snapshot of hunger in the Greater Toronto Area. Economic recovery for many is far from over. On average, clients accessing food banks in the GTA spend 68% of their income on rent/mortgage and utilitities. 68%! Forty-five percent of their clients have a serious illness or are disabled (and I am assuming, not able to work, or not able to work full time). The man I drove home from the CIFB last night had just had back surgery, and had just gone back to work but wasn’t fully recovered. And despite what we may be reporting with our hampers here, and our week-long challenge, in the GTA 39% of adults accessing food banks go hungry at least once per week. 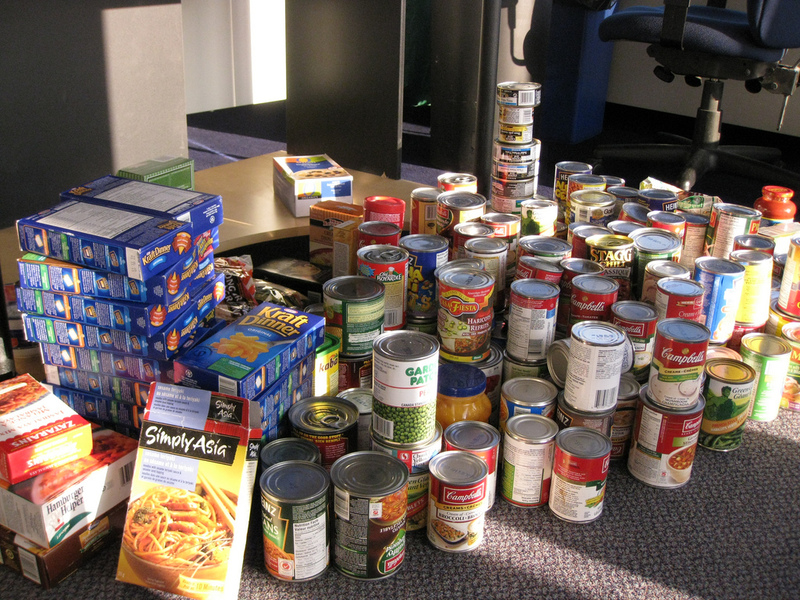 A few months ago, a volunteer with a local shelter boasted that nobody in Calgary goes hungry. I didn’t buy it, and I still don’t buy it. Emergency food is available. But if I’m working, it’s hard to get to a community meal. It’s hard enough to get to the Food Bank. I’m looking for your comments here. Can you challenge that statement (about nobody going hungry)? The full report from the Daily Food Bank will be released in September – but you can see the snapshot here.